You’re reading novel The Demonic King Chases His Wife: The Rebellious Good-for-Nothing Miss Chapter 1192 online at LightNovelFree.com. Please use the follow button to get notification about the latest chapter next time when you visit LightNovelFree.com. Use F11 button to read novel in full-screen(PC only). Drop by anytime you want to read free – fast – latest novel. It’s great if you could leave a comment, share your opinion about the new chapters, new novel with others on the internet. We’ll do our best to bring you the finest, latest novel everyday. Enjoy! Su Luo shook her head, depressed: "With the master of the Nine Different Palace Halls acting as a loudspeaker, how can this secret be kept? Moreover, you said 'don't break it off, there will certainly be misfortune later' this points to…"
Su Luo's thin, small finger pointed towards Li Yaoyao. Here, there was only Li Yaoyao alone who would spread Su Luo's secret everywhere after they left. At this time, everyone's gazes was focused on Li Yaoyao's body. "You, what do you guys want to do!" Being stared by four pair of eyes, Li Yaoyao's heart became alarmed. She had indeed planned on telling everyone in the world about Su Luo's secret once she left here. When all the people in the world came to cause trouble for Su Luo, then she would take advantage and celebrate with catching the fish. But she never expected that the person to mention this was Third Senior Brother who she had always admired. Don't mention just how sad and dispirited Li Yaoyao's heart was. Su Luo unhurriedly stood up, and walked towards her, step by step, with a ghost of a smile: "Li Yaoyao, you know too much, you tell me, what ought to be done?" Su Luo used a low tone to say this by her ear. "You… don’t kill me, you guys can't kill me!" Li Yaoyao continuously stepped back nervously. "Second Senior Brother, save me ah, Second Senior Brother…." "Pfff—— now calling for your Second Senior Brother, isn't it rather too late. Li Yaoyao, your Second Senior Brother has already gone to the netherworld, you want to follow him, isn’t that right?" Su Luo's expression was as usual, her gorgeous smile grew increasingly bewitching. Li Yaoyao was pressed in, step by step, until finally, her back hit the wall. Front, back, left and right, there was no way to retreat. Li Yaoyao was like a turtle in an earthen jar with nowhere to run. "You will commit suicide, or do I need to do it?" Su Luo was all smiles as she said this. Originally, based on her growing up as Nangong Liuyun's childhood friend, she could still give her a way to live. But now that she knew this secret, and she would definitely announce it to the world, therefore Su Luo could not let her live. "No, no, you guys can't kill me!" Li Yaoyao shook her head being extremely alarmed "Second Senior Brother even sacrificed his life to save me. Third Senior Brother, do you have the heart to watch Second Senior Brother's sacrifice be in vain?" Li Yaoyao saw she couldn't move Su Luo, so she turned to beseech Nangong Liuyun. Nangong Liuyun was scarlet from head to toe, as if he had just walked out from Asura's h.e.l.l. The smell of blood was so thick that it would make people gag. That murderous aura looked like burning blood. Nangong Liuyun was like a blood-soaked youth, getting closer to Li Yaoyao, step by step. Finally, he stood in front of Li Yaoyao firmly, and looked at her with a calm gaze. "I am the one letting you die. Every injustice has its perpetrator, every debt has its debtor. If your heart has any complaints, then come find me." Nangong Liuyun's voice was unsympathetic, steadfast, and serene, without a slight lilt in his voice. "Third Senior Brother! I've saved your life before ah, how can you do this to me!" Li Yaoyao shook her head with all her might, crying constantly, "Back then, when you went to cultivate through experience, then you were chased to be killed by those people, covered in cuts and bruises, I was the one who secretly stole the medicine from Master and sent it to you. That time, Master almost broke my legs, but I didn’t regret it a bit, I was even very happy, because I saved Third Senior Brother. For Third Senior Brother, I was willing to give up my life. I even abandoned all the honor of an unmarried girl. Third Senior Brother, how could you kill me?" Li Yaoyao's cried beautifully like raindrops on pear blossoms, very pitifully. For a split second, Nangong Liuyun's expression was dark and gloomy, but soon followed by a cold light that flashed by: "You can only blame yourself for insisting on making Luo girl your enemy." Therefore, everybody that became Su Luo's enemy, were all targets he must ambush and kill. 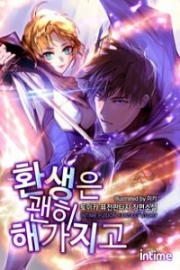 You're reading novel The Demonic King Chases His Wife: The Rebellious Good-for-Nothing Miss Chapter 1192 online at LightNovelFree.com. You can use the follow function to bookmark your favorite novel ( Only for registered users ). If you find any errors ( broken links, can't load photos, etc.. ), Please let us know so we can fix it as soon as possible. And when you start a conversation or debate about a certain topic with other people, please do not offend them just because you don't like their opinions. You're reading The Demonic King Chases His Wife: The Rebellious Good-for-Nothing Miss Chapter 1192. This novel has been translated by Updating. Author: Su Xiao Nuan,苏小暖 already has 12435 views. Current Time is Apr-19-2019 16:42:54 PM.